Project a clean, professional image to increase ridership and improve vehicle lifespan. 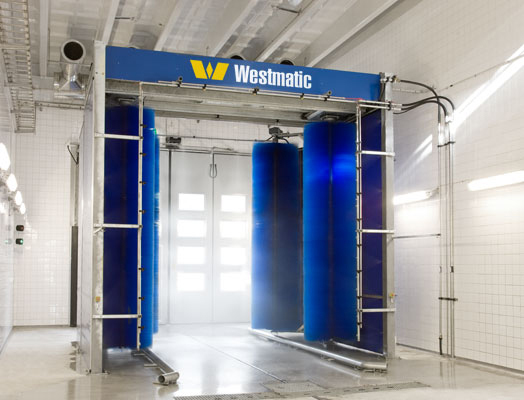 Westmatic public transportation wash machines get your fleet washed and back to providing service to your riders. Our bus wash systems are incredibly efficient and versatile with the lowest life-cycle cost of any machine on the market today. This is based on our reduced maintenance requirements and reduced consumables, such as water, power, and chemicals. Our high-quality brushes protect your bus graphics while giving you a high-quality wash. And, Westmatic systems also safely wash public transit buses with front-mounted bike racks. If you are purchasing your first machine, replacing existing equipment, or building a new facility, our knowledgeable staff will work with you to determine the best equipment for your fleet. We routinely work alongside owners, architects, and engineers to develop infrastructure requirements, utility requirements, and an equipment package that will handle your washing needs for many years to come. 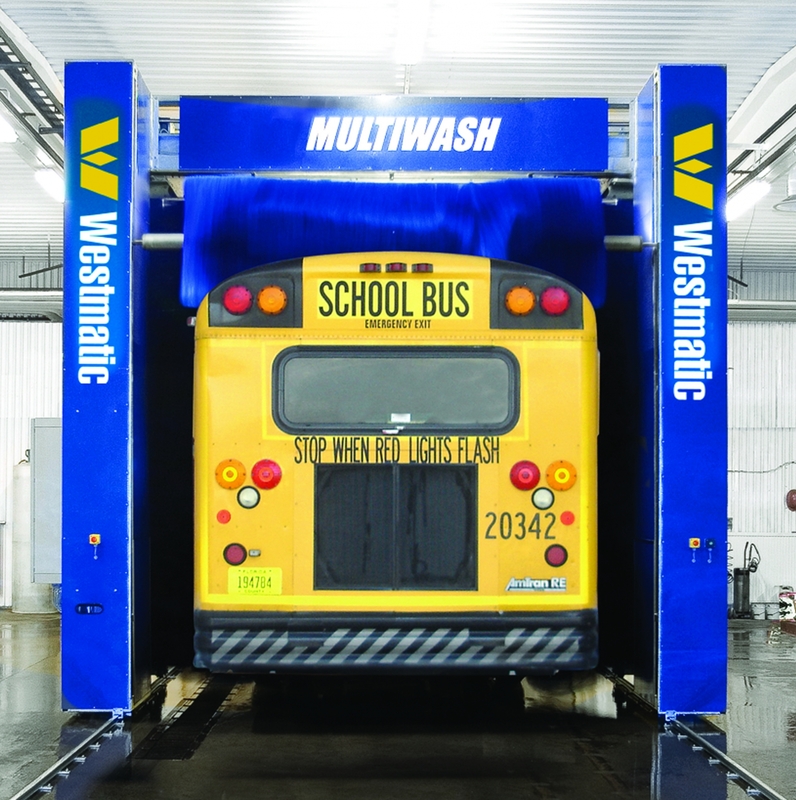 Public transit fleets with a demanding wash schedule (more than 30-40 buses per day) are a perfect fit for Westmatic's Drive-Through machine. The Drive-Through reduces wash cycle time to about 90 seconds per bus. Our drive-through machines are completely customizable, and available to operate with brushes, in a touchless mode, or with a combination of both. Bus fleets with a less demanding wash schedule (less than 30-40 buses per day) are typically advised to choose a rollover or gantry machine. This style of machine directs the driver to pull into the wash bay and park. The machine begins to wash over the vehicle on a floor-mounted track system. Wash cycle time is about 5-6 minutes per bus. Add these accessories to boost the cleaning power and cost management for your new Westmatic Wash System.